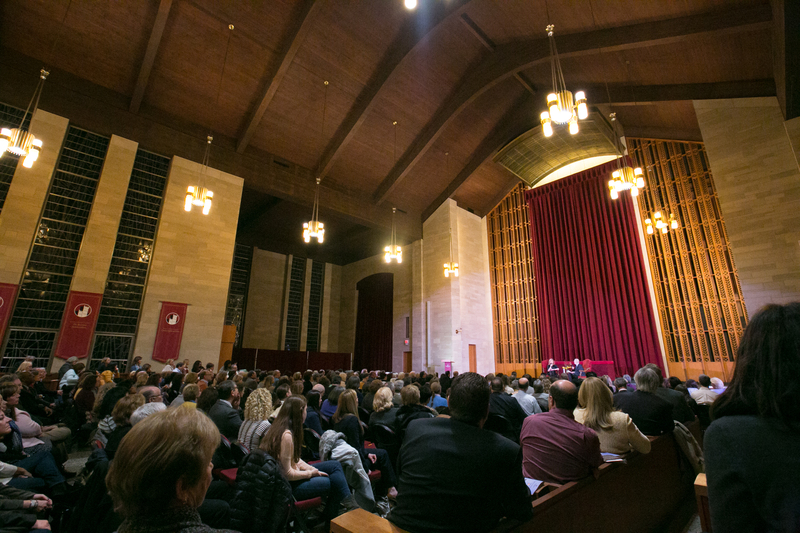 On March 25th, 2015, the O’Byrne Chapel became the venue of congregation for many local residents, students, alumni and faculty who attended Manhattanville College’s inaugural event of the first season of Castle Conversations. As a four-part speaker series, Castle Conversations presents the opportunity to our community to hear several of the most influential leaders and thinkers of our time share their knowledge and expertise. Each lecture features a different speaker and allows for an engaging question and answer period with inquiries from the attendees. 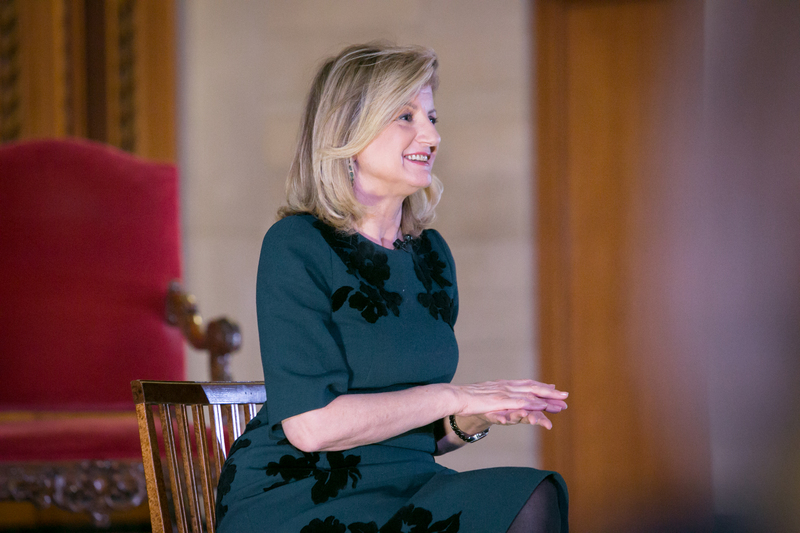 To launch the series, Arianna Huffington was our first featured speaker. Known best for being the co-founder and editor-in-chief of the award-winning news platform The Huffington Post, Arianna has become one of the most influential women in the media. The evening became a discussion about the media’s changing landscape and the creation of a more sustainable definition of success. She acknowledged the powerful impact of social media and technology in regards to journalism. “We are living in an unprecedented time where people who never had a voice, now have a voice,” Huffington reflected. Social media has allowed millions around the world to express themselves in a variety of ways, yet Huffington does not believe that this will mark the end of journalism. Following her speech, Leonard Lopate, host of the public radio show The Leonard Lopate Show, WNYC, moderated the question and answer period, which allowed the audience to submit their own inquiries for Arianna’s consideration. Castle Conversations will be hosting three additional speakers throughout the year. On June 24th, Dan Rather, former news anchor for the CBS Evening News, will share with us his unique perspective on the headlines that are shaping today’s global conversation. Subsequently, on September 9th, Neil deGrasse Tyson, American astrophysicist, cosmologist, author and science communicator, will join us for a lecture on his area of expertise, space exploration. Finally, Doris Kearns Goodwin, Pulitzer Prize-winning American biographer, historian, and political commentator, will conclude the 2015 season of Castle Conversations on December 2nd by offering her insights on the upcoming 2016 presidential campaign. Individual tickets to the remaining lectures will be available for purchase by the end of April at www.castleconversations.org. If you have questions, please contact a member of the Castle Conversations team at mvillecastleconversations@gmail.com or 914-323-1277.